Schwarz Opticians | Why us? We do not use locum Optometrists. Our permanent team of three experienced Optometrists are focussed on providing the best care for you. They work on 30 minute slots allowing plenty of time for examination, explanation and discussion of your needs. We have excellent relations with the local eye department and GPs and we are Welsh Eyecare Service accredited providing a triage service for the hospital eye department. Our dispensing and receptionist team have all been with us for 5 years +. The continuity of service they provide means you will not be talking to a stranger every time you see us – we know most of our clients and understand their particular needs. Unlike high street chains, we have no sales targets. Our reputation is our most important asset and we belive in informing you and giving you as much time as you require. We hope that by doing a great job, providing an excellent service in a relaxed environment is what separates us from others. We hope you’ll love our spacious, relaxed environment. 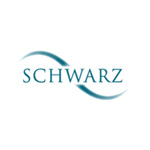 In the past Schwarz has had a reputation as being expensive. This is not the case now – we offer great value with frames starting at £10. Our hi-index (thin) lenses and varifocals are cheaper than most opticians in the area. Parking is just metres away in St Georges Crescent car park (opposite KFC) We are only 2 minutes walk from Tesco, and there is parking opposite, which includes disabled spaces for blue badge holders. We like our clients and we enjoy getting to know them.